Taking place immediately before the 470 Junior European Championships in Riva, Italy, the 470 Junior Racing Clinic will provide the ideal opportunity for last minute training. 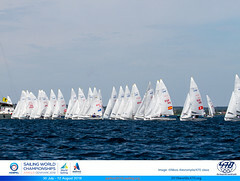 Daily coaching, racing and debriefs will be run by the 470 appointed coach Nikos Drougas (GRE). 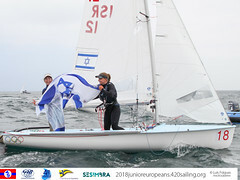 The Junior Racing Clinic will run for three days from 6-8 August 2012, focusing on our youngest athletes who are 21 years old or under and eligible to compete at the 470 Junior European Championships. However, the programme may be changed, depending on the number of teams entering and experience of the teams. 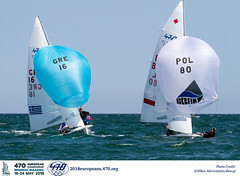 All crew who are eligible to take part in the 2012 Junior European Championships and who have already completed the online entry for the event are invited to apply for the 470 Junior Racing Clinic. Entries will be limited, and allocated on a first come first served basis. If you would like to apply for a place, please complete the Racing Clinic Application Form and email it to solidarity@470.org by 13 July 2012. Late entries shall be accepted on site, only if there are places available and on a first come first served basis, at the discretion of the clinic coach.